Magento 2 Favorite Seller Marketplace Add-On extension allows the customer to add their favourite sellers. Buyer can see all the update and the latest product added by the seller. The Seller can also send an email to their followers. This module is an add-on of Magento 2 Marketplace Module. To use this module you must have installed first Magento 2 Marketplace. 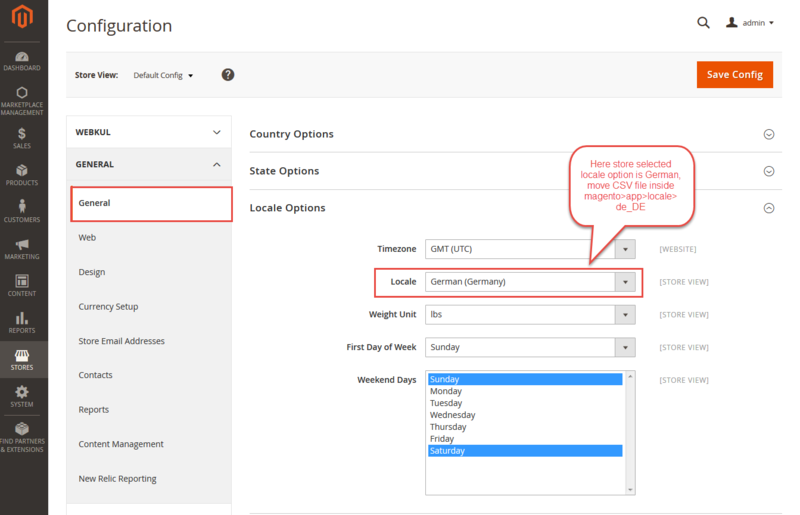 If a user wants to translate their module from English to German then they need to follow the path app/code/Webkul/MpFavouriteSeller/i18n in their unzipped folder and will get a CSV file with name “en_US.csv”. Now they will rename that CSV as “de_DE.csv” and translate all right side content after the comma in the German language. After editing the CSV, save it and then upload it to the path app/code/Webkul/MpFavouriteSeller/i18n where they have installed Magento2 on the server. The module will get translated into the German Language. It supports both RTL and LTR languages. Buyer can find My Favourite Seller tab under My Account. Here, the buyer can see their favourite seller list and buyer can delete a seller or visit the collection of their Favourite seller. 1. 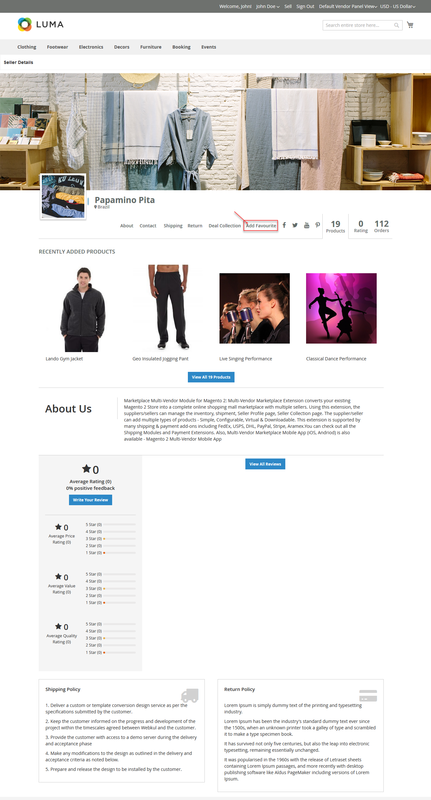 Seller Profile Page – By clicking the Add Favourite link on the seller profile page. 2. 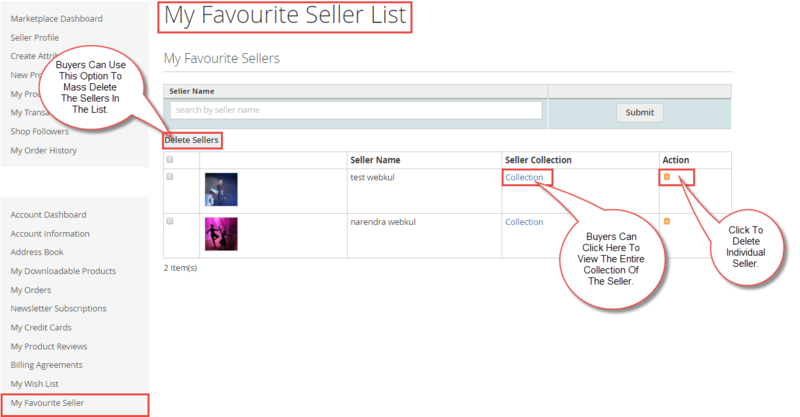 Seller Collection Page – By clicking the Add Favourite link on the seller collection page. 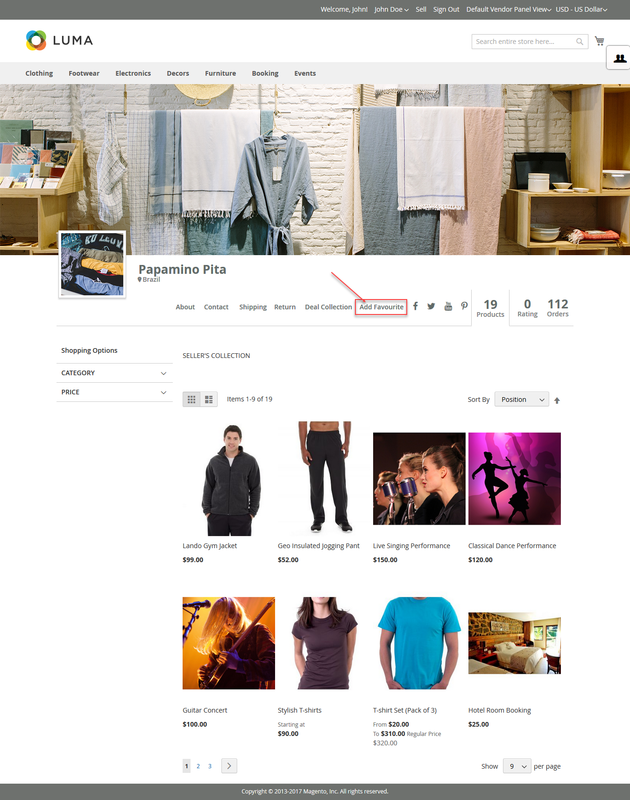 Sellers can find their Shop Followers under Marketplace > Shop Followers Sellers can delete their followers as well. Sellers can send an Email to their followers. After clicking on Send Email to Followers below page will be open by which Seller can send an E-mail message to their followers.